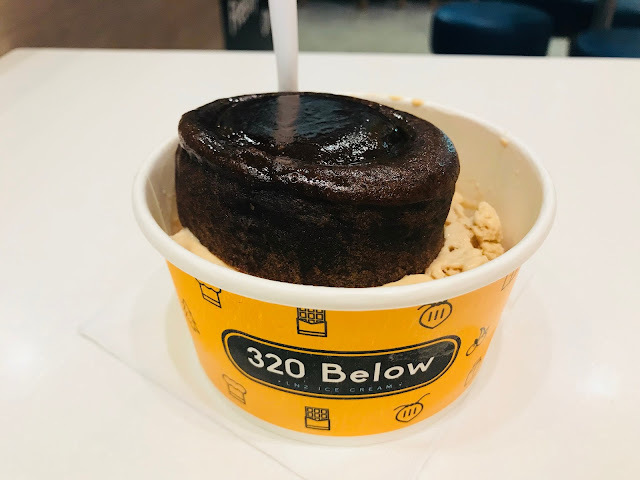 320 Below (The Central) – Ice-Cream Made with Liquid Nitrogen, Anyone? When I was young, ice-cream was my all-time favourite food. I could never get enough of the sweet creamy dessert and Singapore’s hot weather didn’t help either. But as I grew older and learned how much flavouring and preservatives go into the ice-cream, I started eating less of it. Located at the right-hand side of the entrance of The Central, 320 Below caught my attention when I was running an errand in the area. The Clark Quay outlet is a small space with a seating capacity of about 20 people. The cute wall art gives a simple explanation of how 320 Below works. 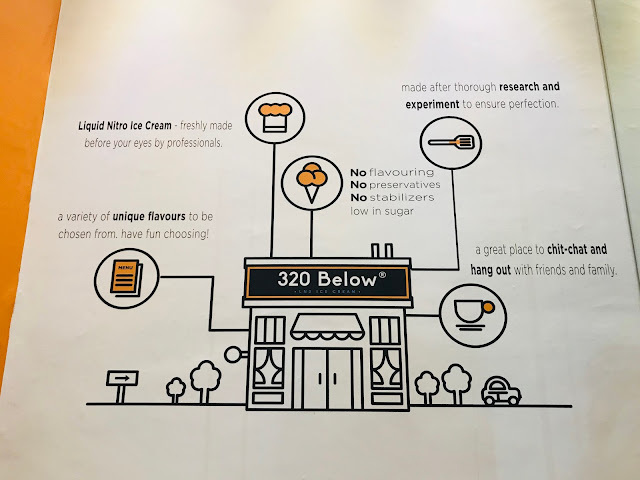 320 Below has over 20 unique flavours of ice-cream. 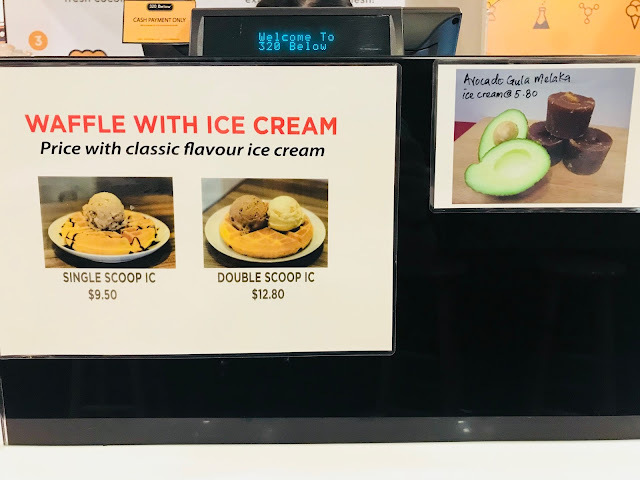 Classic Flavor features some of the more common flavors such as Coffee, Earl Grey, Horlick and Milk Chocolate while Premium Flavor such as Avocado Gula Melaka, Christmas Horlick and Tiramisu are flavours that I could not have imagined in ice-cream. There are a variety of ways to enjoy your ice-cream in 320 Below. 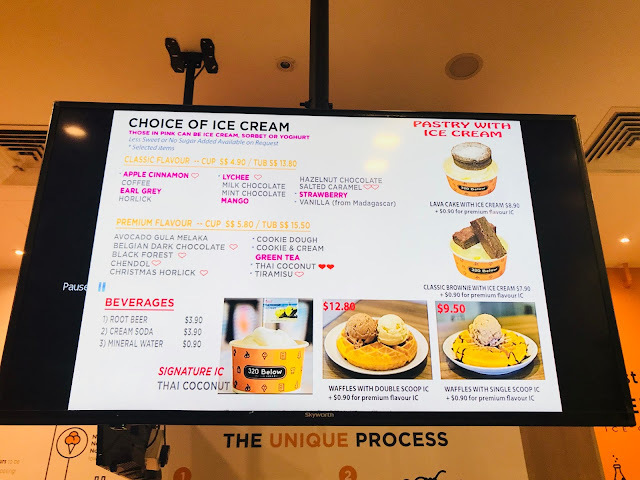 You can have it in a cup [Classic Flavor $4.90; Premium Flavor $5.80], pair your choice of ice-cream with a pastry such as Lava Cake [$8.90, add $0.90 for Premium Flavor ice-cream], Classic Brownie [$7.90, add $0.90 for Premium Flavor ice-cream] or Waffle [Single Scoop $9.50; Double Scoop $12.80, add $0.90 for Premium Flavor ice-cream]. The staff assembled the required ingredients and mixes everything in a big bowl. 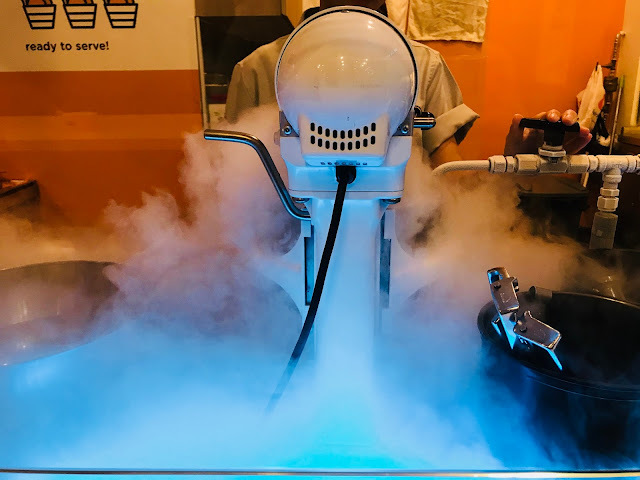 Liquid nitrogen is used to quickly freeze the mixture into the delicious ice-cream that you have ordered. The ice-cream making process is an experience like no other. Liquid nitrogen produces a lot of “smoke” when being used, coupled with the bluish light from the machines, it looks like a scene from a science-fiction movie. I have always had a thing for lava cakes, so I got this Lava Cake with Ice Cream [$8.90]. I think the Salted Caramel ice-cream I chose spoiled this dessert for the sweetness of the ice-cream and lava cake makes the whole thing too sweet, perhaps an ice-cream with a simpler taste such as Vanilla would have been better. I do wish that the Lava Cake could be a little flower and a little hotter. 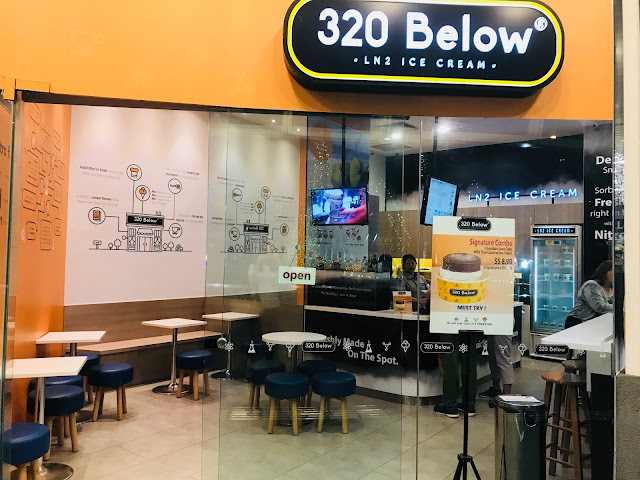 320 Below’s ice-cream does not contain preservatives, stabilizers and flavourings, so you can enjoy to your heart’s content without worries. 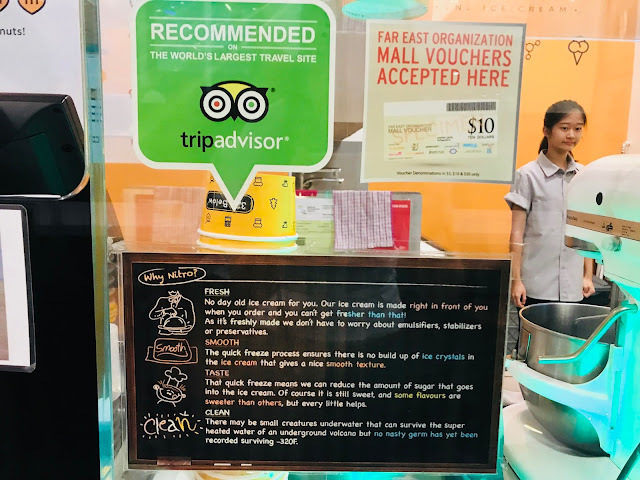 This is a great place to hang out with family or friends and it’s endorsed by TripAdvisor. Addresses, telephone numbers and opening hours of all 3 outlets of 320 Below can be found here.